2149 Harvard Ave Fort Myers, FL. 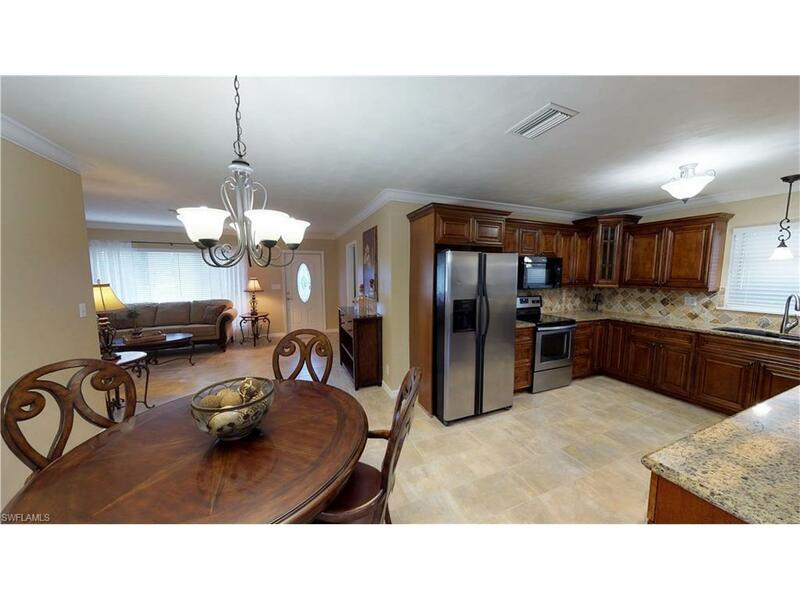 | MLS# 217074746 | Southwest Florida Residential Real Estate for Sale. Incredible location just around the corner from Bell Tower Shops, many great restaurants, endless shopping and tons of amenities. Situated on a corner lot with plenty of room for a pool this 3 bedroom 2 bath 1420 sq ft home with den has been tastefully remodeled from top to bottom. Featuring brand new tile and carpet, fresh paint, updated bathrooms, crown molding, updated kitchen with high end cabinets and granite tops it's tough to find a home with this many upgrades in FM Villas. Huge Laundry room w/ sink, counter space and additional storage. Screened patio and backyard provide lots of outdoor living space. Roof re-shingled in 2016. Double carport under roof and additional storage room with tons of extra space. Move right in and begin to enjoy everything this amazing location and home has to offer!